Finishing up part three of this SEO guide, we will get into the “real deal”, raw SEO techniques and provide a more tactical direction for optimizing your online web properties. To get up to speed, you may wish to read part 1 and part 2 to see what you’ve missed. Feedback and Refinement (analytics and split testing). Reinvestment into additional content, links and promotion. Each keyword has a tipping point, and all websites start from just one page and then stem and blossom according to the barrier to entry and tipping point required to “capture the flag of authority” and scale past competitors to page one. We have alluded to this several time in previous posts, there are two kinds of pages; the first are pages that are the primary or “preferred landing pages” that are ideal for readers to take action and convert and the second are supporting topical pages (designed to increase rankings, capture a semantic cousin to the seed phrase) and serve as layers to influence either rankings or relevance for the elected primary landing pages. While each industry is unique, the structure by design for content development is to (a) start with keywords that are less competitive, attainable and within reach (under 50,000 competing pages), then (b) create content, get ranked and work your way up to capture the more competitive, traffic bearing (or market defining) keywords. Over time, you can determine the tipping point required to create the synergy between the on page requirements (such as site architecture, supporting content, internal links, meta data, site speed) and the off page requirements such as citation, server environment and links to create the required trust and authority to procure a keyword victory. You can either target one keyword at a time, dozens, hundreds or thousands (depending on your budget, resources for content and link development). 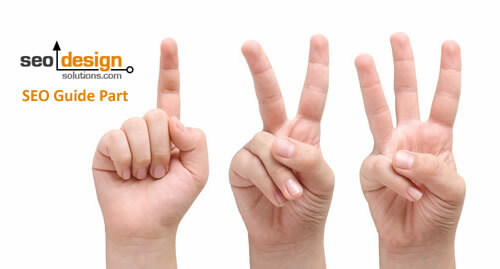 As your website grows and becomes “more themed”, it becomes easier to acquire more competitive vertical keywords. There are a variety of options available for content development, however to simplify they are either “static” and pages are independent whereby changes are made manually without site wide integration and “dynamic” whereby pages are served from a database or administrated by a content management system. The ability to influence the title, meta data and URL structure of the page (to create optimized naming conventions to convey relevance for search engines). While there is nothing wrong with good old fashioned html pages (crafted on by one) where you have to go through and make individual changes page by page and add links one by one, there is another way – SEO Web Design or building the SEO into the site from the content management system. The advantage of optimization by design vs. fixing the broken wagon and trying to make a jalopy of a page compete against a finely tuned SEO Ferrari is possible; there is another way to alleviate such an exercise in futility. Our CMS of choice is WordPress (while it may be perceived as a blogging platform) is rather pliable and can be sculpted into a very effective content management system with the addition of a few simple plugins. It just so happens SEO Design Solutions offers a Free All-In-One Plugin called SEO Ultimate which has the power of 20 plugins and features all integrated into one nifty dashboard where you can simply select or disable modules as needed. SEO Ultimate was our way to eliminate the need for hacking together bits and pieces of code to create specific SEO functions. While it was originally our best kept secret, we released it to the public and it now has over 150,000 downloads and growing daily. To get your copy download SEO Ultimate from WordPress or read about the recent updates or browse the SEO Ultimate product page. The moral of the story is, by applying SEO to the core code of the CMS (content management system) and coupling this with selective content development, you can orchestrate everything from optimized titles, tags, categories, canonical correction (eliminating duplicate content), optimize URL slugs, ad custom tracking code, analytics, ads, implement social media sharing buttons and much more with a few simple clicks. Links are the fabric of the web, they are the only thing allowing you to move from page to page in your website (via navigation or contextual links) or from website to website to navigate the web. While many emphasize the power of backlinks (links from other websites) internal links (links from page to page) can be equally as effective for creating on page ranking factor within a website. We have written many posts on internal links and their inherent ability to transfer ranking factor from one page to the next. However, when coupled with themed site architecture and deep links (links to internal page from other websites) this is one of the most powerful SEO tactics ever devised. The idea is to provide links from a themed page to another themed page and to use an array of anchor text and modifiers based on the primary seed phrase you intend to rank the target page for. By cultivating a higher quality of link, the volume becomes less important (as trust and thematic relevance are a powerful combination). Similarly, by controlling the number of links leaving a page and consolidating the internal links, you provide exponential ranking factor to the links that exist on a page. If cultivated properly linking selectively from tier 1 pages to tier 2 category pages and tier 2 category pages linking to internal product pages and those product pages linking back to tier 1 and tier 2, you can create internal link dynamos capable of ranking thousands of keywords with the same amount of backlinks required to rank a few dozen keywords. By properly combining the on page and off page links in unison, one is able to scale the barrier to entry “keyword by keyword” using the site to rank the less competitive keywords and backlinks and primary navigation to rank for the more competitive keywords and get on the grid from “not in the top 1000 results” to page one “if the ratios are applied correctly”. While we build or use SEO tools to facilitate this process, once you provide the proper synergy, the result is buoyancy for the selected keyword or keywords cross linked or deep linked within a website. While many consider links to be the holy grail of SEO, their value is compounded by proper on page SEO, meaning, the more optimal you’re on page optimization, the less links you require to gain traction. While there are many types of links that you can build or acquire, getting trusted links from thematically relevant websites which (a) rank for the keyword or a variation of it (that you are targeting) and (b) have the collective weight of citation in the link graph (meaning they are linked from some of the first or most authoritative sites online) provide the most ranking factor. IP diversity (diversifying the server environment) is also another consideration and getting 100 links from 100 different sites rather than getting 1 site wide link (from a blogroll, footer or sidebar) from one site is preferred to pass more ”citation” and trust to the target site. If a link is indexed, then it has a value “no matter how insignificant they may seem” and can pass along some form of ranking metric or score. This is known as link-flow and becomes critically important as you raise the stakes and target more competitive keywords. 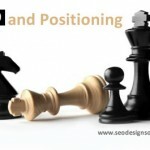 In fact, the more competitive the keyword, the more important link-flow and on page optimization becomes. Off page links from other websites can vacillate and easily be phased out from changes in search engine algorithms. On page links on the contrary can provide stability and ranking factor independently of inbound links – however both are important for SEO. Just as the nuts and bolts are important for SEO, getting the word out and creating a sympathetic wave of interest through syndicating your content socially can have vast implications on conversions and the bottom line. Ironically, the more “buzz” or collective entropy your pages or posts have, the more opportunities exist to transform fly’s on the wall into evangelists for your brand. Every person who enjoys your content represents a 50/50 chance that they may pass it along to others (hint, hint) and create a barrage of traffic to increase exposure and if cultivated properly, the bottom line. But in order to do that, you need to be able to track the traffic you have, measure the level of engagement, determine the demographic profile of the users who pass through and determine which unique selling proposition and conversion funnel to introduce to appease the “what’s in it for me” mantra running silently under the surface of every surfer. Cross the invisible value meter and you now have a potential evangelist for your brand; fail to impress and you may never see them again. Such is the way of the web and with so many options and so little time, make the right first impression then keep giving more and more until your content reaches critical mass. While Facebook and Twitter lead the pack “for now”, don’t neglect other forms of syndication (such as RSS feeds, ebooks, press releases, offline promotion (to drive online conversions) and guest blogging, as a means to increase market share and get your message in front of “the right” audience. While many swear by Google Analytics, we are fond of pmetrics for providing straight forward data on visitors, their IP, country, bounce rate, engagement time, navigation path, what they downloaded, how long they watched a video on your site, etc. Without measuring user engagement, you will never be able to recreate or improve on critical areas in your website that require refinement. Going back to re-read this SEO Guide starting from Part 1, Part 2 and finally reading this on Part 3 will provide you with enough insight on what SEO is, how it works and how to put it to work for you. 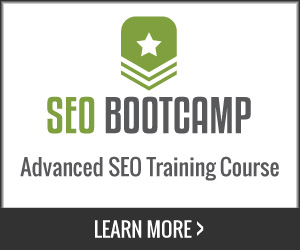 Just like a light at the end of a tunnel, the basis of SEO is ROI. Without achieving a return on investment, you will not be able to scale. While SEO requires an initial investment (unless you have know-how and time) the goal is to reach a prominent position in search engines “in the top 3 results”, drive traffic, increase conversions (downloads, subscriptions, phone calls, contact form request, etc.) if you choose the right keywords “that buyers use instead of browsers”, you can fund new keyword conquests indefinitely. While we use tools for tracking conversions (the number of people that take a desired action), by making granular changes to landing pages, images, typography, copy and layout can dramatically improve conversion rates. Increased conversions means you have more resources to dedicate to creating even more conversions through writing additional content or getting additional inbound links from others as a result of them linking to you, or through you building links to promote your content. In either capacity, keep the bottom line in mind and “know what your time is worth” or whether or not you can delegate or outsource the less desirable processes. Once your website has reached critical mass, you may not have to try as hard to gain circulation, however, until that time, you will either have to invest your time (to gain traction) or pay someone who can, if you are interested in getting ranked for competitive keywords. There are no worthwhile shortcuts to the top. There are however, ways to shorten the time to the top 10, but like other methods, they also require patience to reach fruition. For your reading pleasure we have additional posts on the subjects covered above which you can investigate at your leisure. If you enjoyed this informative SEO guide, by all means, pass it on to others and spread the word using the social medium of your choice. 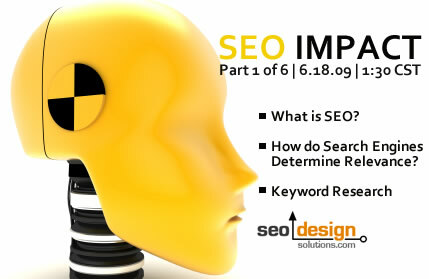 Stay tuned for more SEO tips and tactics to distinguish your website in search engines from SEO Design Solutions. If you haven’t already, subscribe to our RSS feed for daily SEO updates. When is Duplicate Content a Good Thing? 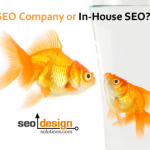 SEO Company or In-House SEO? 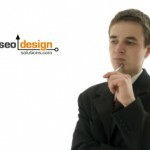 SEO Consultant or SEO Services? 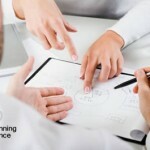 Really enjoy reading your tips of on page and off page SEO. I have learn so much reading your posting. Thanks for sharing. Recently again I read your article posted in ur site. 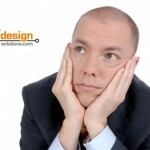 simply good and I’m enjoying reading your site…plenty of information for SEO reading. Another great articles coming from you.I hope in your next article I can read about local seo again. I will be waiting for that time.